The Clarksville Civitan Club is sponsoring this enthusiastic new club. The club builders are Gena Albertia and Jay Albertia*. Anyone needing more information about this new club should contact Peggy Davis at peggy.davis[at ]cmcss[dot]net or (931) 553-2080. Please announce this information at your next club meeting and in your club bulletin. This is the 15th new Junior Civitan club announcement for the Junior Civitan International 2015-16 fiscal year. Civitan International is a non-profit, volunteer service organization based in Birmingham, Alabama dedicated to serving individual and community needs with an emphasis on helping persons with developmental disabilities. 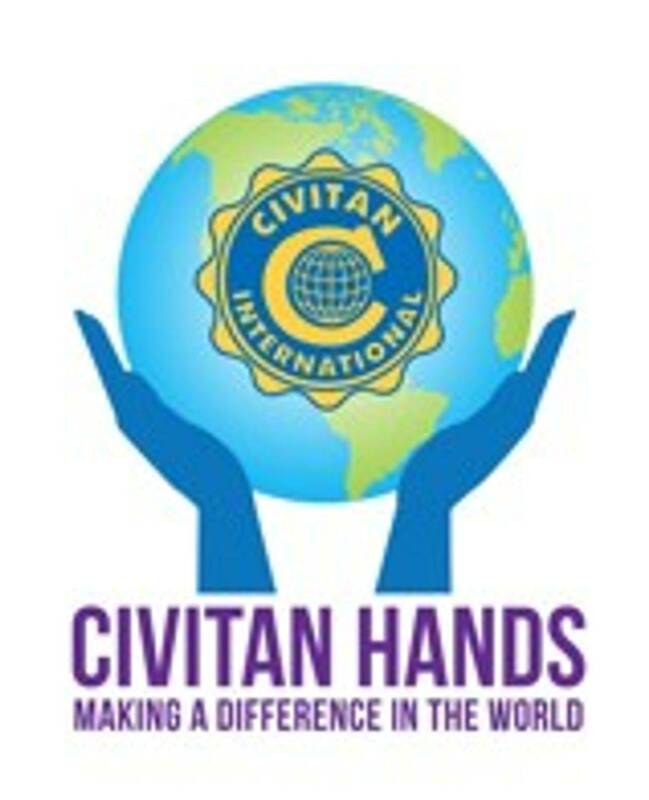 Civitan International is comprised of member clubs organized in communities across the United States and in over 35 countries worldwide all working to assist those affected by developmental disabilities through direct financial support and hands on projects. Visit us online at www.civitan.org . Living in a community and being a member of a community are two very different things. As members of the Clarksville Corporate Business Park Civitan Club, we have chosen to be members of the community in which we live. A big part of this community are those who have volunteered to be members of our military and their families. Many people forget that our country’s armed forces are a 100% volunteer force. Everyone who serves has made a choice, a commitment, a sacrifice, an oath, to defend our nation and therefore, us. They put their lives on the line for us; they spend long days, months, even years away from their families. With over a decade of war, many of our service members have come home wounded; physically, mentally, and often emotionally. It is important as members of this community that we honor their service by helping them and their families in any way that we can to cope with these hardships. Our club has made a commitment to the Warrior Transition Battalion of Fort Campbell, to serve our brave service members and their families. From the very start of our club, even before it was officially chartered, we have been working with the WTB in many ways. We have provided material needs such as food for families in need and dozens of cases of water to support the annual Blue Grass Rendezvous Bike Ride, a 165 mile trek from Fort Knox, KY all the way back to Fort Campbell. We provided financial aid for the wounded warriors to provide day care for their children so that they could attend an annual Christmas dance with their spouses. Sometimes our warriors must fight a different enemy; illnesses such as cancer can quickly devastate a family. Things we take for granted, such as being able to run to the market for eggs or milk can be a challenge for someone who must care for a terminally ill spouse. We are there for our warriors during these hard times as well. This year we helped to provide for a family whose father, a soldier with the 101st, was dying from cancer. For a wife with four young children and an older daughter, Easter seemed impossible as she could not leave her husband’s side for fear that any moment could be his last. Well, those children had their Easter with their father, due to some special help from the Madison Street Wal-Mart and the Easter Bunny. Unfortunately, their father passed the next day, but his final Easter with his children was a special one. His passing brought a new need for the family, where we eagerly jumped in again to help, this time providing financial assistance so that the family could continue to receive another month of in home care to adjust to their new life. All of these events have created a great bond in the relationship between the Fort Campbell WTB and the Business Park Club. Just recently, Kerry Graef, the director for the WTB, was a guest speaker at one of our meetings. The emotion in her voice as she thanked the members for their support was touching and helped to bring home just how important what we do is. To make the event even more special, she then presented the club with forty-six coins, one for each member at the time. The significance of this is very important; coins are only presented on very special occasions to individuals who have met exceptional achievements. They are usually presented by unit commanders and they are not presented very often, to have one presented by a unit is an honor. To receive forty-six of them is astounding. This great honor is a tribute to the relationship the Corporate Business Park Civitan Club has established with the Warrior Transition Unit. A relationship we will continue to nurture and grow to ensure that our Wounded Warriors and their families know that their community will always be there for them.